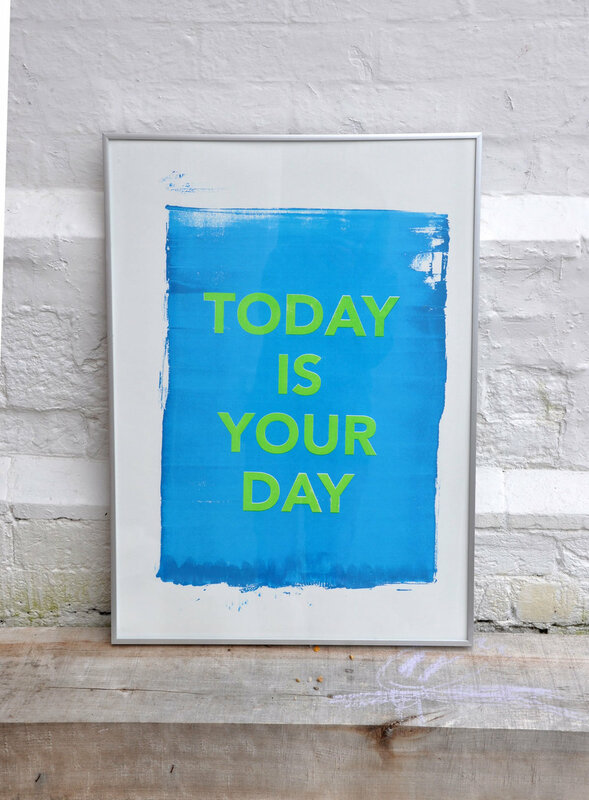 So TODAY IS THE DAY for a new screen print. I have been thinking about a poster for the girls room. Dora has just started learning (and now enjoying) her phonics, so it was vital for the text to be simple. I am still have an after taste of the new year card THIS IS THE YEAR and the encourage cards. I, very much, get lifted by a positive text when I wake up. A text that makes it special to wake up, it makes you want to enjoy it that little more.